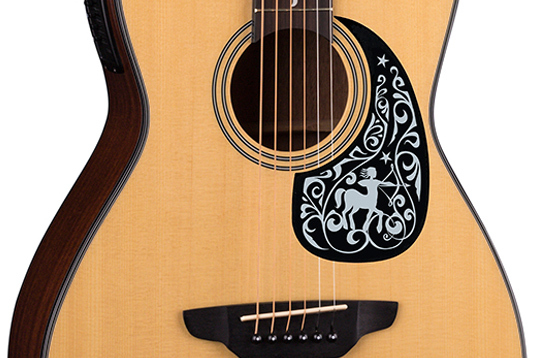 Our mantra is to "build guitars as unique as those who play them" and nowhere is this more evident than in our new "Zodiac" line of instruments; highlighted by pickguards whose designs reflect the 12 different astrological signs. 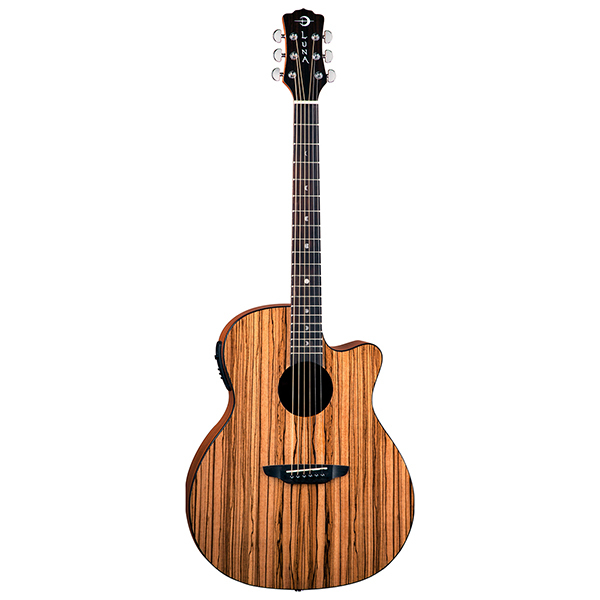 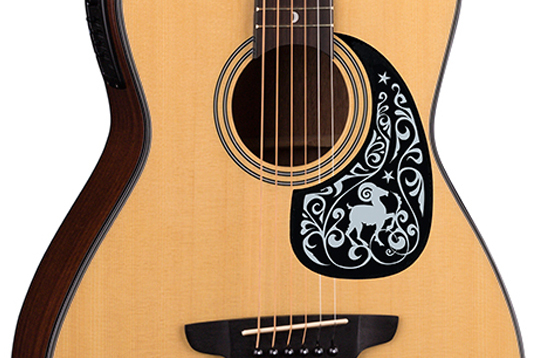 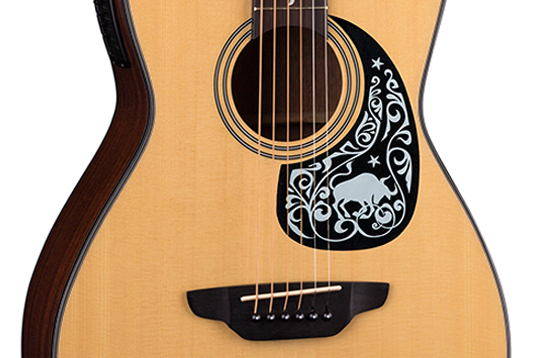 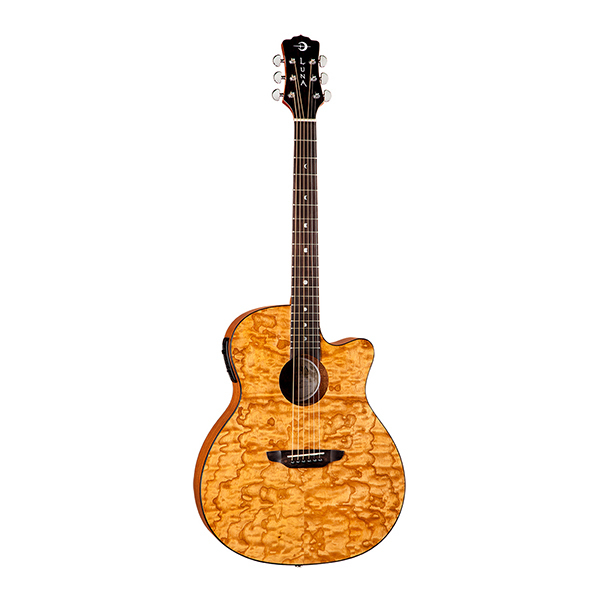 This beautiful parlor cutaway guitar is part of our "Gypsy" series of guitars, known for their warm and inviting tone. 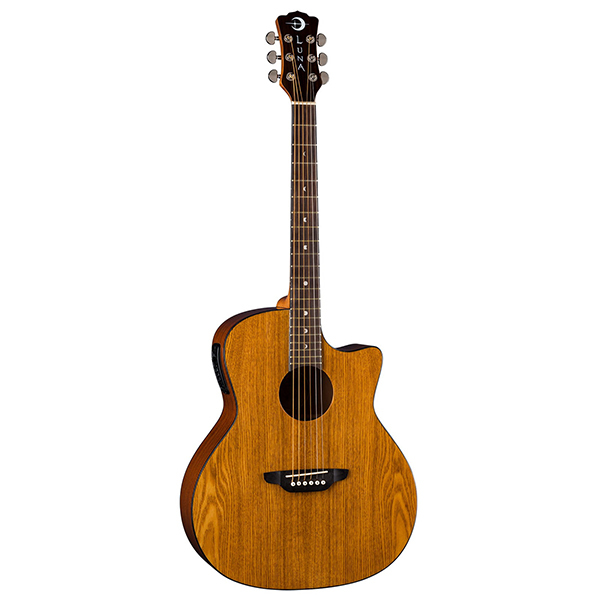 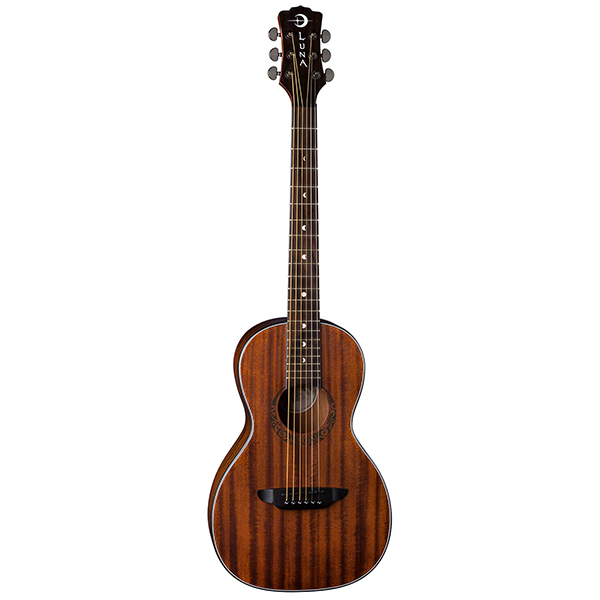 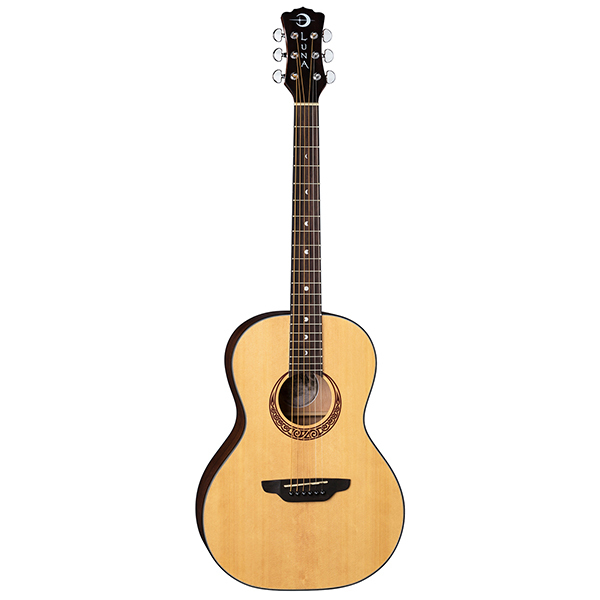 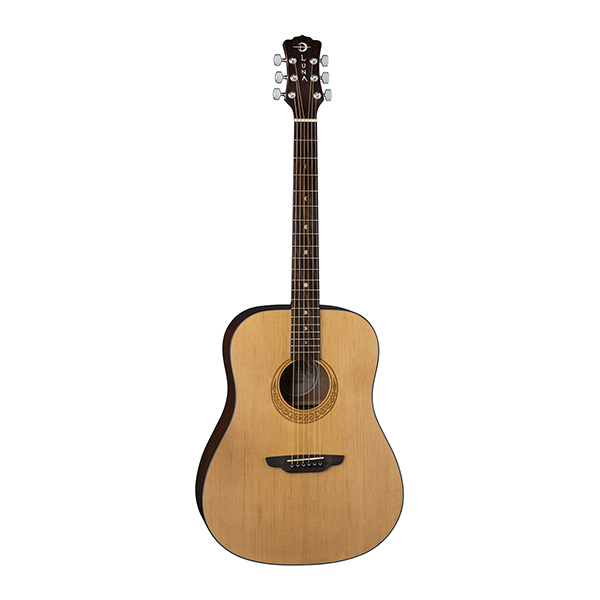 This surprisingly affordable instrument features a select spruce top, mahogany body, pre-amp with built in tuner and Luna's signature moon phase and fret markers. 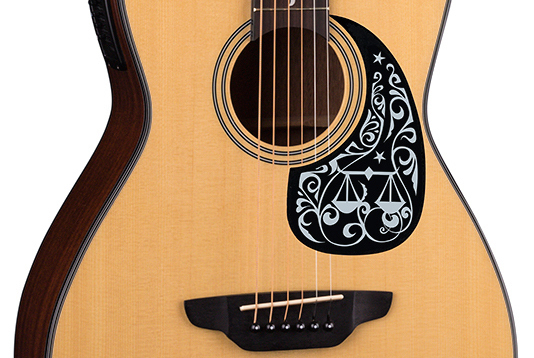 The Gypsy Zodiac line of acoustics are ideal for players of all styles who desire a powerful punch with an inviting midrange.